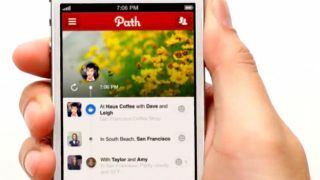 Facebook has blocked Path's access to the part of its API that allows users to find their friends on the social network. A new version of Path now allows people to find fellow users through their Twitter, Gmail and phone contacts, but the Facebook option is now nowhere to be seen. Posts and items can still be shared via Facebook, but the app no longer allows invitations or follow requests to be sent to Facebook friends. Path isn't the only app to suffer such a fate in recent times. Twitter's new Vine video sharing app saw its access to Facebook removed immediately after launch. The restriction of Facebook's social graph appears to be in direct response to a recent spam messaging controversy, which erupted in the last couple of months. The app came under fire for sending out text invitations to users' contacts without permission. Digital marketeer Stephen Wright brought the issue to light after his entire phonebook received a text - or in the case of landlines, a robocall - at 6am, even after the app had been deleted. Officially, Facebook is yet to offer a reason for the new restrictions.